Tailor – The Clothes, They Make Me!! Tailor (from Wiktionary) – To make, repair, or alter clothes. When I was in high school, I made nearly all my own clothes. And as you can see, I won awards for them. 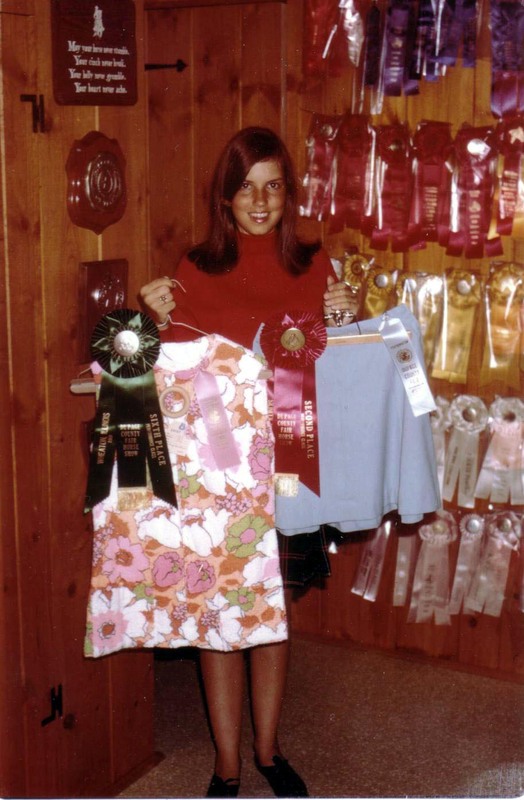 Prior to winning, my Mom and I would examine the clothes that won and I would change my techniques in my quest to win. I experimented with all kinds of fabrics, styles, and patterns, from simple jumpers to complicated suitcoats and blouses. One year I won a trophy as the Champion Senior Seamstress at the County Fair. I kept making my clothes, even though I did not exhibit again after that. The clothes did not “make me” – what “made me” was persistent, learning and growing in my techniques, and lots and lots of hard work. Thanks Mom for paying for all that fabric and putting up with me sewing and ripping and sewing and ripping! I stopped making my clothes after college as I did not have time any longer. I still don’t sew much, but I am remain proud of all the hard work I put into winning the trophy that year. Word for tomorrow – FORTUNATELY. If you prefer to work ahead, see the list for the week under “A Word A Day”. And I thought I was so cool then too!